I'm here with another Friday Favorite Five which is hosted weekly by Susanne at Living to Tell the Story. This week, I thought I'd mention five things which I am anticipating and which make me happy to anticipate. * It should be noted that I do not necessarily anticipate these things in the following order. 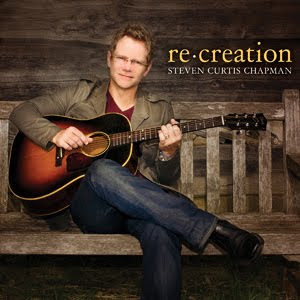 #1 - August 9th: Steven Curtis Chapman's newest album, Re:Creation, will be released. #2 - Kung Fu Panda 2. (Did you ever think you'd see that posted here?!) My brother and sister-in-law introduced us to Kung Fun Panda a few years back and I think that every time I watch it, it increases in it's ability to make me laugh. We're hoping to take the boys to see it very soon. #3 - The movie version of The Magician's Nephew!??! Even though I rather despised (and rejected) the film version of The Voyage of the Dawn Treader (linked to my thoughts) I still harbor high hopes that they'll make a good go of any of the other books in the series that they opt to bring to the big screen. I hope, I hope, I hope . . . ! #5 - And on a deeply serious note: I anticipate Truth. And with that, I bid you all a FABULOUS THREE DAY WEEKEND (that comes under #6) and look forward to chattin' it up again with you after the holiday! I do hope they keep the future Narnia movies as close to the books as possible. I mean, the audacity to think one can improve upon Lewis! I did like DT, but it had been a long time since I read the book, so I don't know how it compares. I hope to catch up in rereading the Narnia books before the next movie comes out. Looking forward to the challenge! Do you recommend reading them in the order they were written? I didn't know SCC had a new album coming out. I love him. I like your last one, Truth. I'd like that too. Thanks for sharing this. Have a wonderful weekend. Oooh, I didn't know SCC has another CD coming out. How exciting! I hope the next Narnia movie is really good. I skipped Dawn Treader but I'd like to see the next film. Truth - yes, yes. I'm so glad God reveals it to us. Have a great 3 day weekend! I never saw this Kungfu Panda, looks so funny, lol! wonderful fives this week for you. I am looking forward to a long weekend also.The weather here is fantastic! You always keep me excited about the Narnia books and films! I need to pick one or two to reread this summer. Anticipating Truth. Wow. That’s a great one to include! Hilarious trailer! I'm looking forward to the new Muppets movie in November. I love Kung Fu Panda too. But I love Anne of Green Gables, more! Also, love the Narnia books. Oh, where would we be without all the wonderful childhood favorites! I appreciate Truth too. In the end, it's always best. 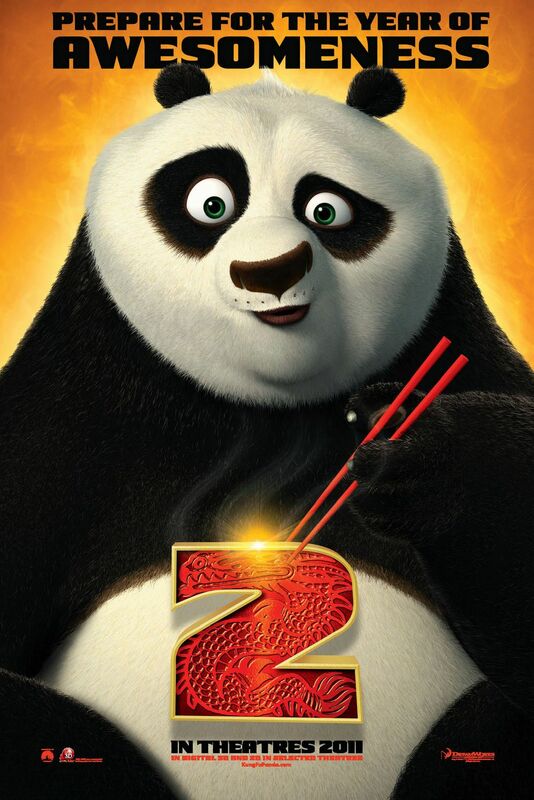 We also enjoy Kungfu Panda here and is looking forward to Kungfu Panda 2. Thanks for visiting my blogs and entering my giveaway. Have you verified your email address after rating my book review by clicking the link in the email they sent you? If not yet, please do so. Thanks so much, Carrie! Have a blessed Memorial Day weekend! I've heard really good things about Kung Fu Panda 2, hope you got to see it. I too value truth, even when its painful its a wonderful thing! The sequel we can't wait to come out is CARS 2 this summer. :) It will be Cory's first theater experience, with dad and Grandpa! So fun! I wonder how Cory would do with Narnia yet... he really didn't get into the chapter-ness of the Rosewood Cottage tales very well so we've shelved it for now. I love anticipating events too. Sometimes I seem to enjoy it more than the actual event. I am looking forward to hearing Steven Curtis Chapman's new album as well. That family has been a model of grace and perseverance. I am looking forward to The movie version of The Magician's Nephew as well. And to support that I will be joining in with your Narnia reading challenge. I know right where my books are. This will be so fun to do with a group of others. Well, obviously by my name, I'm in for anything Narnia. But I had not heard about another film. Is that a wish on your part or is it happening? I hope it they make any of the other novels, but the Silver Chair is my favorite. Puddleglum's soliloquy is worth the whole story! So how do I get in on the Narnia reading challenge? Are they going to do the Magician's Nephew? That's my favorite! I didn't see the Dawn Treader movie- I was disappointed by Prince Caspian and didn't even consider the Dawn Treader. Anyways, thanks for visiting my blog. I've been a subscriber of Reading to Know & Reading My Library for a while now- eagerly anticipating the day when my son would be old enough to enjoy picture books. Your RML project inspired me to do our own toddler-friendly version of Reading Our Library! Oh, and I also cannot wait until my daughter is old enough to appreciate Anne of Green Gables. How old was Bookworm1 when you started reading Narnia to him? That's another series I cannot wait to start reading aloud. Thanks for the constant inspiration! What a wonderful list! I love all of these things, too! Kung fu Panda and Narnia especially. I hope you're enjoying the 3-day weekend, as well! I didn't see the Dawn Treader movie, but I remember how highly you spoke of it. ;) (I remembered, but I just double-checked, because my memory isn't so sharp these days.) I share your hope that the Magician's Nephew movie is more true to the book. Now I have got to read theNarnia Chronicles. I never have. And that is probably why I liked the Dawn Treader. Keeping my eye out for the Steven Curtis Chapman album.